Buffalo, New York may be the hot dog capital of the world. 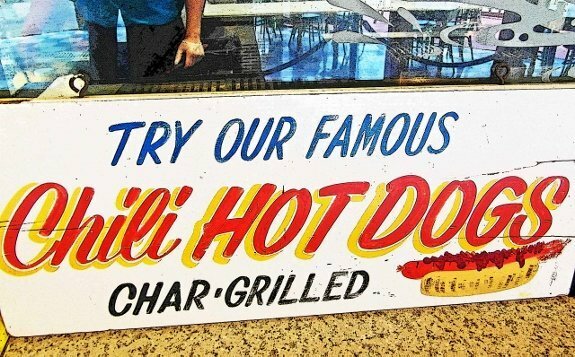 Buffalonians insist that their hot dogs be grilled over charcoal, just like at an old-fashioned backyard barbecue, and hanker for the foot-long hot dogs that were the Holy Grail of our youth. 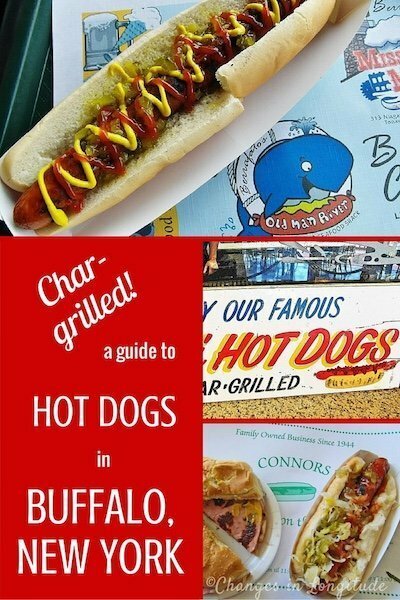 Most of the places in Buffalo serve Sahlen’s hot dogs, a Buffalo institution that’s been around since 1869. 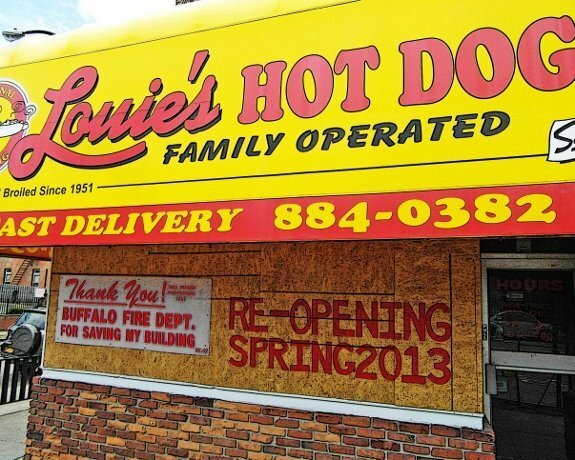 Our Buffalo hot dog tour started a bit inauspiciously when we showed up at the first spot, Louie’s Hot Dogs in Elmwood Village, to find its windows covered with plywood, the victim of a recent fire. I guess chargrilling does have its risks. Moving right along, we were told their main rival was Ted’s which opened in 1923 and now has seven locations in the area. Ted’s brags about their hot dogs cooking over “a bed of real hardwood charcoal,” the long lines at their locations attesting to their popularity. The crispy hand-battered onion rings are pretty good too. 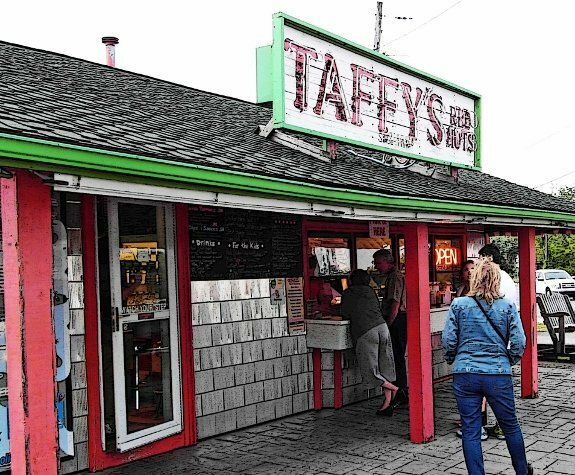 Just across the street from Ted’s in Orchard Park we hit up Taffy’s Red Hots in a circa 1940s beach-style shack at the corner of Routes 240 and 40. It’s still owned by the 96-years-young Nellie Eliah. Taffy’s also boasts 110 milk shake flavors. Taffy’s crispy dogs are enhanced by their own hot sauce. We followed a recommendation and headed towards Lake Erie to try Connors. The Lake Shore Road location in Angola serves a beachfront vacation community, look for the sign with the green shamrock. 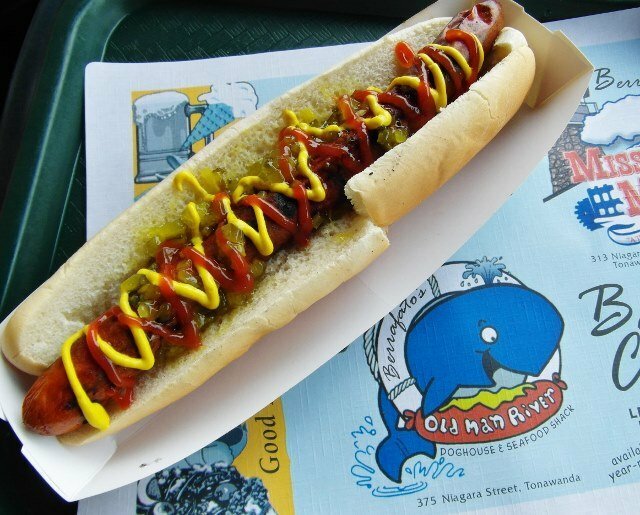 Connor’s was brave enough not to serve Sahlen’s hot dogs, instead using Wardynski’s, which their menu refers to as “Buffalo’s finest hot dogs.” There must be some story behind that rivalry. We didn’t think they had the same snap as Sahlen’s, perhaps it was because they were cooked over gas. 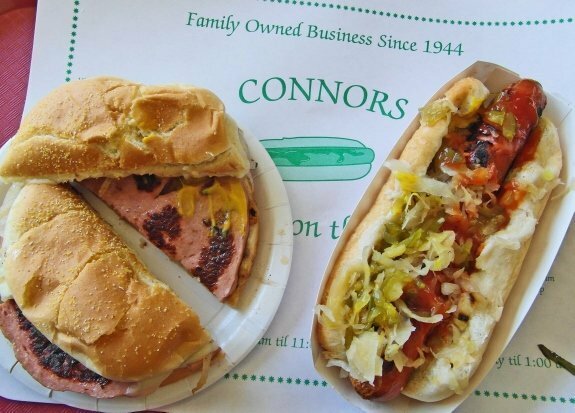 Connors is also known for their fried baloney sandwich. 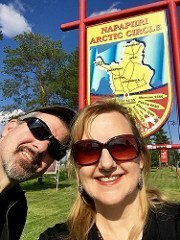 Next up, a trip north to Sullivan’s in Niagara Falls. The cook there really works the hot dogs, rolling them vigorously with his tongs until the skin punctures, creating smoky flavor inside the dog. Just like Connors though, Sullivan’s cooks over gas, maybe it’s an Irish thing? They slap the dog on a Schwebel’s bun, which appears to be the go-to bread in the Buffalo Niagara region. The blistered dogs at Sullivan’s showcase the cook’s efforts. Back in Tonawanda, just north of Buffalo, we met our favorite dog of the trip. 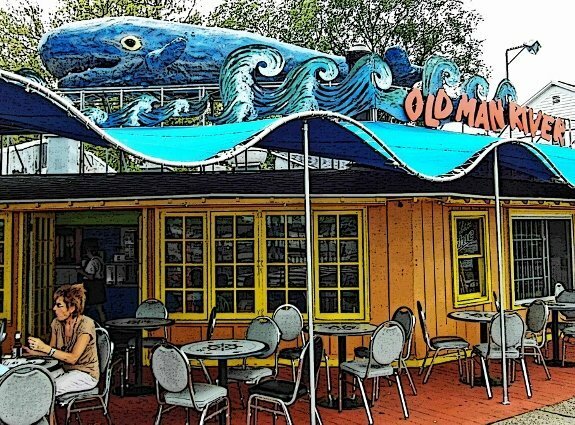 Old Man River is a quirky spot that’s recognizable by the giant blue whale floating on the roof. The smoky aroma that hit us when we got out of our car, plus the piles of charwood stacked up inside the entrance, told us this was going to be a charbroiled delight, and it was. We asked for our dogs well done and they arrived super crispy and charred, just how we like them. For you vegetarians out there, who probably didn’t make it this far in the story anyway, they serve a Bunny Dog; a marinated and grilled carrot served on a hot dog roll. We like carrots but confess we didn’t try it. One wag told us that Nathan’s, the famous Brooklyn hot dog chain, tried to make it in Buffalo and failed. Locals deemed the griddle-cooked hot dogs too greasy. We’ve always been big fans of Nathan’s but after tasting the chargrilled franks of Buffalo we’re hooked. Hopefully on our return visit Louie’s will have reopened. 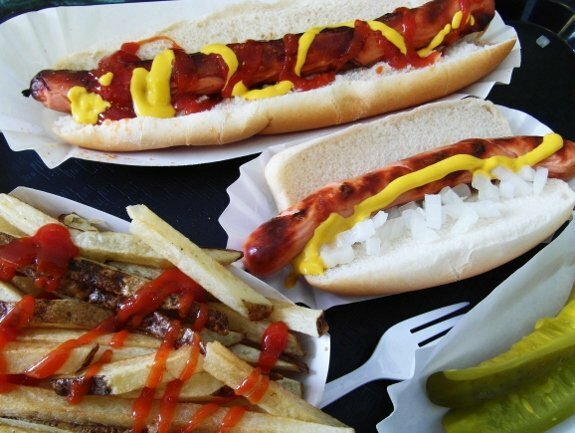 Let us know what hot dog places you recommend, in Buffalo and elsewhere.